Originally the box would not turn on and the red light stayed on , when it eventually turned green it will not change channels or record anything, I cannot even get the menu to work. Check the batteries in the remote and they are working okay. Have tried everything I know switched it off and then on again nothing seems to be working. All problems on this page have been submitted and answered by users. 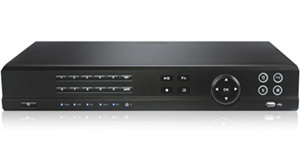 If you have a problem with the TVonics DTR-Z500 HD DVB-T2 Twin Tuner 500GB , please submit it below and we'll post it here. Problem: Originally the box would not turn on and the red light stayed on , when it eventually turned green it will not change channels or record anything, I cannot even get the menu to work. Check the batteries in the remote and they are working okay. Have tried everything I know switched it off and then on again nothing seems to be working.